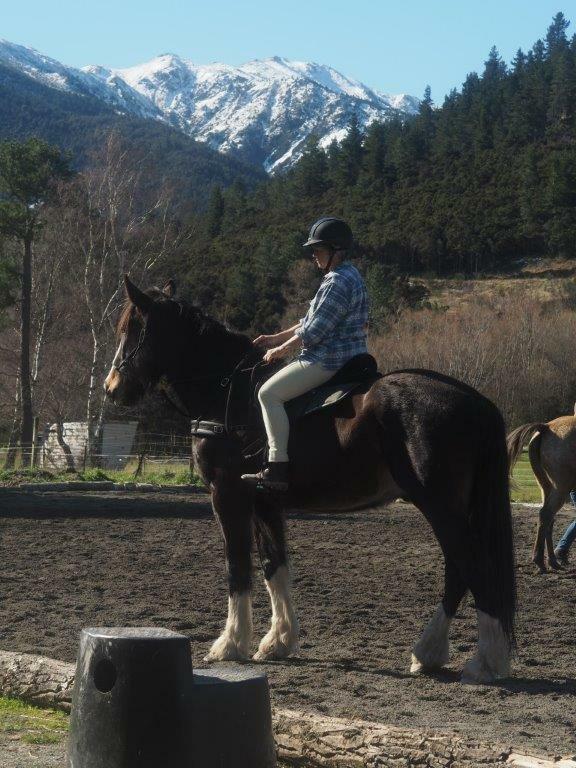 Ride Hanmer Springs - Hanmer Springs Horse Riders Inc.Hanmer Springs Horse Riders Inc. Fill up a weekend or a week riding in and around Hanmer Springs. From forests and farmland to our (planned) Cowboy Challenge course, beginners cross country course and horse labyrinth. Have a brief taste of riding in the High Country behind us on a day ride. Or use our 20m x 40m sand arena, cavaletti and jumps. Stay in our hospitality paddock. Soak your body in the pools and visit one of our many cafes and bars. 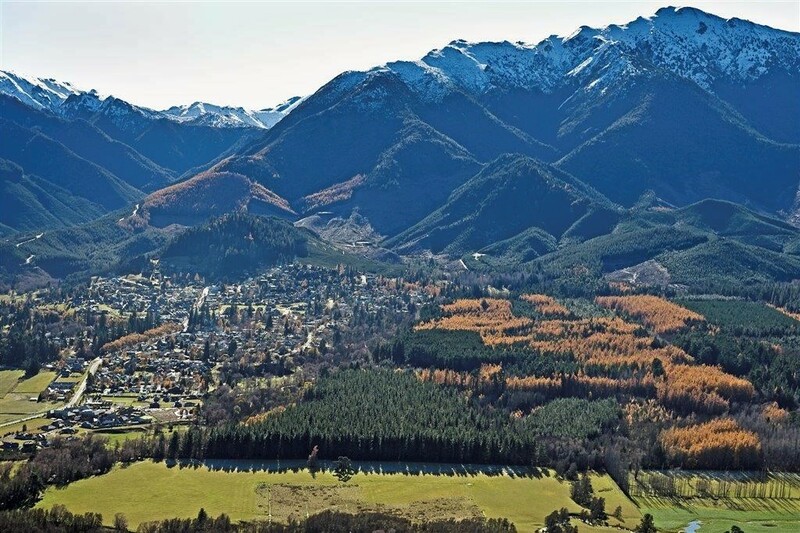 Aerial view of Hanmer Springs and the Hanmer Heritage Forest. Jacks Pass, the route to the HIgh Country, is on the left behind the village. Recreational horse riding in the Hanmer Forest is a tradition that dates back over 100 years. The first tracks were developed by the State Forest Service in what was then the Hanmer State Forest. These days most of the forest is privately owned and public access is available through the goodwill of Ngāi Tahu and Rayonier|Mataraki Forests although there are important track links through neighbouring DOC and Council lands. All our tracks are signposted as ‘Bridle path’ with a horse logo. Most of these are dedicated horse tracks but a few have shared use and you may encounter walkers and mountain bikers. Tracks may be closed at times due to high winds, fire risk or for forestry operations. For more, with descriptions of each track and the planned horse skills park, read Riding the Forests. 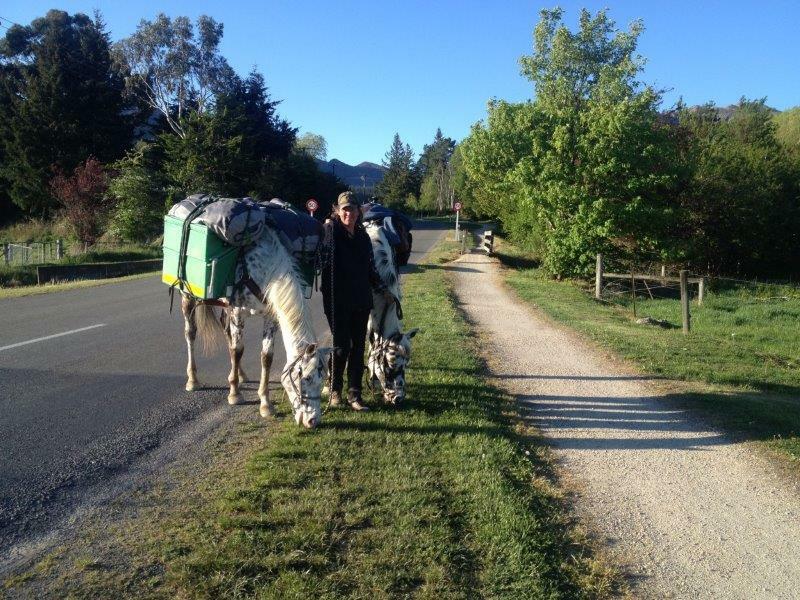 We have developed a number of new trails around the village in the Hanmer Springs basin. The vision is to create a ring roud (our own “M25”) around the village. We have been working on tracks that link existing rides and our arena. And there’s more to come. Hanmer is a well developed village for vistors. That means not only great après-saddle activities but also activities for family members who don’t ride. You can ride anywhere in the village – but please avoid the paths for walkers as shown in the photo above. And if your horse poos, please come back later and clean up. It is good for our relationships with residents in the village and the many visitors to the village. The club has a 20m x 40m sand arena, cavaletti and jumps. From time to time we have people coming to Hanmer to teach. If you want to know about upcoming events, follow our Facebook page. If you are interested in using our Lucas Lane Arena or holding a workshop, please contact us.